1 Llegada . Formell Formell . .
4 Ponte para las cosa . Formell Formell . .
6 Pero a mi manera . Formell Formell . .
7 Pero qué falta de respeto . Formell Formell Lele, Alina Torres . 8 Yuya Martínez . Formell Formell . .
9 El martes . Formell Formell . .
10 Yo quiero una flaca . Formell Formell . .
12 Cierre . 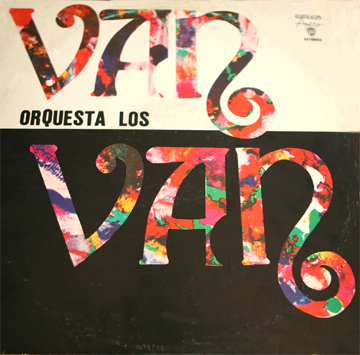 Formell Formell . .
We don't have a picture of Tránsito, LD-3421 and we don't know why it was re-released as LD-3425 using the cover pictured above, but the 1974 album was a stunning masterpiece, setting the tone for Los Van Van's undisputed historic position as the most popular band in Cuban history. There were two additional singles released around this time, but they almost undoubtedly contained the same versions as the LP. These were EPA-6472 (Ana, Uno solo fuerte) and EPA-6473 (Chirrín chirrán, La Habana joven). 5 Será tan grande el amor son Formell Formell . .
8 Y no le conviene sng-bt Formell Formell . .
9a De todo lo mejor inc Formell Formell Juan Formell . Personnel Change: In 1974, Pedro Calvo, who had been singing with Ritmo Oriental, replaced Lele, who left to join Los Reyes 73, where he would stay until returning to LVV for one year in 1980, and then leaving for South America. According to La colección, both Vol. 2 and Vol. 3 came out in 1974. We have a lengthy tribute to this album in our Roots of Timba section. As you can see from the chart, almost every song was released as a single and we think they're the same recordings with one slight variation. The opening track, a 9-minute suite, was re-edited to produce two shorter tracks for singles. 3 Dale dos songo Formell Formell . .
8 Mi son entero songo Formell Formell . . Here's our review of Volume IV. 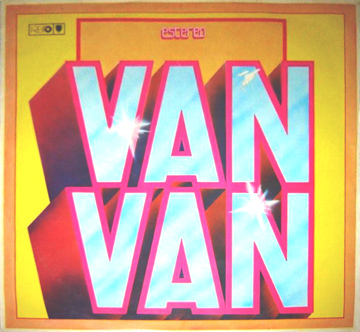 We think of Volumes II, III, and IV, plus the early singles, as one distinct era in Los Van Van's history. 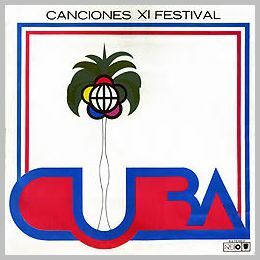 This is the same 1978 Festival where Irakere recorded the famous concert that became Volume IV of the Irakere La colección. 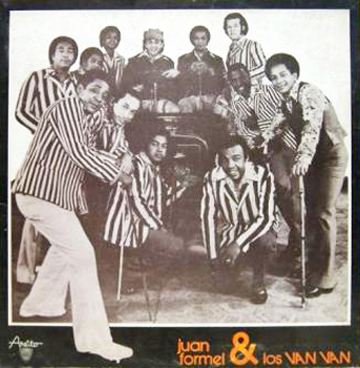 We've never heard it but LVV added a single song, entitled, believe it or not, "Solidaridad antiimperialista". 1 TV a color sng-bt Cortés Cortés Pedro Calvo . 2 Elisa b-sng Formell Formell Lázaro Morúa . 3 Es mucho songo Formell Formell Pedro Calvo . 4 Cuando yo vine a este mundo b-sng Guillén-Formell Formell Juan Formell . 6 Quién le presta a Pedro songo Calvo Formell Pedro Calvo . 7 El tren de Jagüey b-sng Formell Formell Lázaro Morúa . 8 Y lloré b Formell Formell Lázaro Morúa . 9 Tal como empezó songo Pedroso Cortés Pedro Calvo . 10 Si a una mamita gg Aparicio Formell Pedro Calvo . 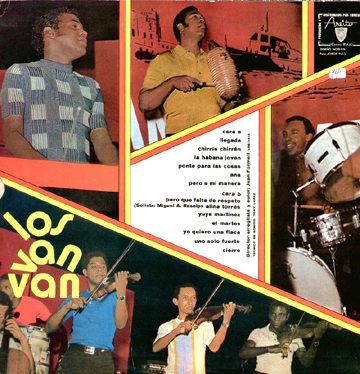 The lack of singles, while it may indicate a trend away from releasing singles, also adds weight to the general feeling that this was the low point in LVV's otherwise supreme popularity in Cuba. Volume V seems to be going in four distinct directions at once. 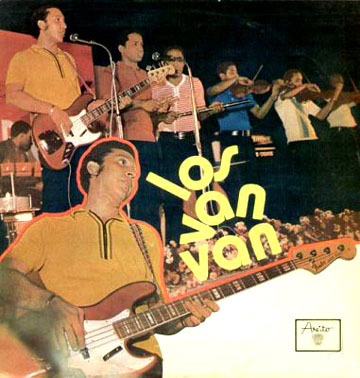 Most forgettable are the bizarre R&B ballads, Elisa and El tren de Jaragüey, sung by Lázaro Morúa, who only stayed with the group for one record. TV a Color is a somewhat more successful, but equally derivative knock-off of North American disco, but more significantly, it's the debut composition of Van Van's flautist, José Luis "El Tosco" Cortés, who would go on to play with Irakere through most of the 80s and then found NG La Banda, generally considered to be the first timba band. Volume V also contains one of the few compositions written by LVV's most prolific lead-singer, Pedro Calvo. Most significant are the debut compositions of Pupy Pedroso, who would go on to become LVV's second most prolific composer and the leader and composer of the most important new group of the 2000s, Los Que Son Son. Pupy hit the ground running with Con el bate de aluminio and Tal como empezó -- both mature examples of his inimitable style and powerful precursors of the phenomenally successful Los Van Van of the 80s and 90s. 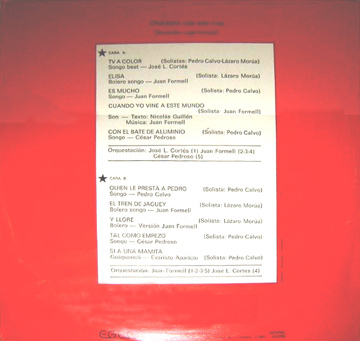 Con el bate de aluminio was, as far as we can tell, the only single from Volume V. The B-side, Qué te pa' by Evaristo Aparicio (who also wrote Si a una mamita, La bola de humo, and, for Irakere, Xiomara) didn't make it onto the album. 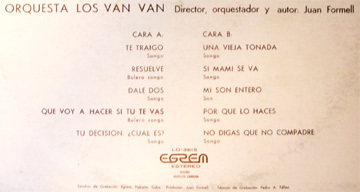 Thus, EPA-6961 would be an exceedingly rare and valuable find, containing a lost Van Van song as well as being the first recording of a composition by Pupy Pedroso.